selecting a few organisms with desired traits to serve as parents of the next generation. crossing two individuals that have identical or similar sets of alleles. The new organisms are very similar to those of their parents. crossing two genetically different individuals. The hybrid organism that results is bred to have the best traits from both parents. a clone is an organism that is genetically identical to the original organism it was produced from. A clone has exactly the the same genes as the parent organism. in this process genes from one organism are transferred into the DNA of another organism. 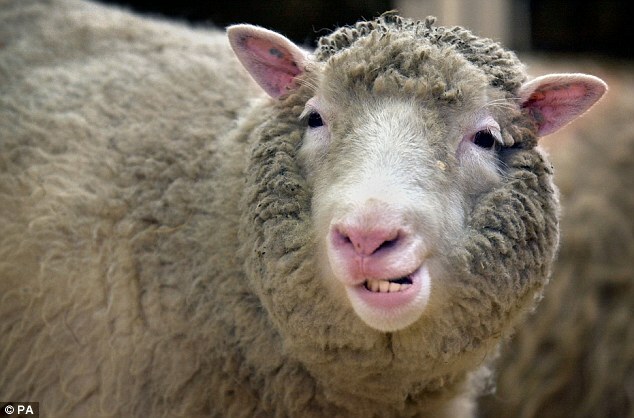 Dolly, the first cloned sheep. A genome is all the DNA in one cell of an organism. The main goal of the Human Genome Project is to identify the DNA sequence of every gene in the human genome.